We have spent the past few weeks following the conversation between God and Moses as to how to build the Tabernacle, its vessels, and the priestly clothing. This week, the Torah tells us that Moses appointed Betzalel to lead the building project. 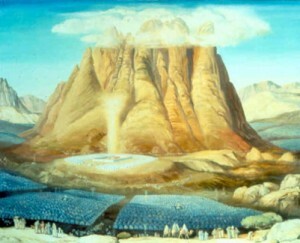 Throughout the parshah, as the Torah describes the actual construction of the Tabernacle, it continually states, “such and such was done as God commanded Moses.” Why, while discussing the topic of the Tabernacle, does the Torah stress that everything was done, “as God commanded Moses,” more than any other part of the Torah? Rabbi Yosef Dov Soloveitchik (1820 – 1892; Brisk, Belarus) suggests an explanation that contains a lesson particularly relevant to our generation. The raison d’être of the Tabernacle was to be the vehicle of repentance for the sin of the Golden Calf. The classical understanding of this sin was that due to a miscalculation, the Jews thought that Moses had not returned from Mount Sinai on the day that he had promised. They, therefore, presumed that he had died and began to panic. Moses had been their connection to God until that point. Now that he had passed on, who would speak to God on their behalf? Who would transmit the word of God to them? Thus, out of utter desperation, they created the golden calf as a substitute intermediary. This action seems somewhat logical from the perspective of the Jews. The problem was, however, that in trying to approach God, we must take care not to step outside the boundaries set by God. We must stay within His guidelines and not think that we know better. This is God; we don’t know better. This misplaced creativity was the tremendous mistake of the Golden Calf that the Tabernacle was designed to counteract. The Torah, therefore, stresses that the Tabernacle was built exactly as God commanded Moses – not one iota different than God’s instruction. 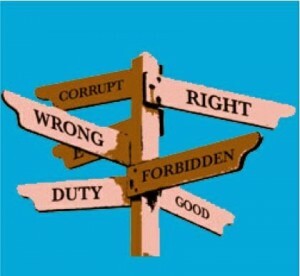 In today’s murky world, where finding the moral path can be confusing and unclear, this message is especially poignant. We must make sure that we are not finding our moral footing from outside sources and then trimming and pruning Torah ideas in order that they fit into our preconceived notions. Rather, we must search through the Torah for our moral direction and then apply that to our current situations and dilemmas. The Torah is the word of God; we don’t know better.